Kobys has been installing automated underground water sprinklers longer than any other company in Kamloops, since 1976 we have been providing homeowners with the highest quality user friendly irrigation systems. We have been designing and installing water features since 1962, from our very 1st cooperate installation at oriental gardens to the dry creek for the Uji gardens in Riverside park, to hundred thousand dollar projects that corporations had us come to install on Vancouver island. We do everything from indoor water features in living rooms, miniature water features in court yards and pondless waterfalls and creeks to ponds that you can swim in. We pride ourselves on water features that look as natural as possible. 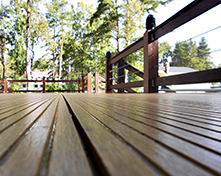 Quality wood work that stands the test of time. Our team can design and customize a space you will love. 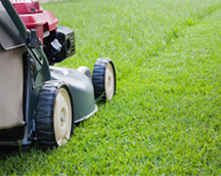 Weekly, Bi-weekly and seasonal Lawn Care, Spring & Fall Clean-Ups, Bed Maintenance, Planting, Pruning, Tree Removal, and licensed sprayers. 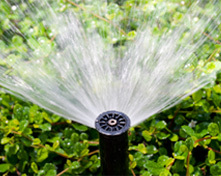 Kobys has been installing automated underground water sprinklers longer than any other company in Kamloops, since 1976. © Copyright 2019 Kobys Landscaping. All Rights Reserved.